January is a great month in history for classic car trivia buffs. Here’s Gallen Insurance’s top 5 moment’s in class car history this month. January 1886 – The first gasoline-driven car is patented by Karl Benz. The Benz Patent-Motorwagen (or motorcar), built in 1886, is generally viewed as the first vehicle intended to be pushed by an engine. The vehicle was awarded a German patent to Karl Benz on January 29, 1886. On January 12, 1904, Henry Ford set a land-speed record of 91.37 mph on the frozen surface of Lake St. Clair in Michigan. He was driving a four-wheel vehicle, dubbed the “999,” which had a wooden chassis with no hood or body. On January 27th, 1965, the first Shelby Mustang, a Wimbledon White Shelby GT350, made its debut. In less than a month, the race version of the car, the Shelby GT350R, had already won its first SCCA. Fan of the Hemi? In 1965 NASCAR banned Ford’s high-riser engines stating that they did not actually fit under “stock” hoods. 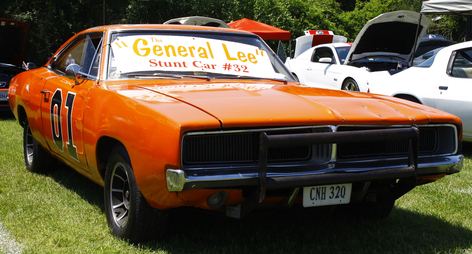 On January 26, 1979, “The Dukes of Hazzard,” a television show about two cousins in the rural South and their 1969 Dodge Charger known as the General Lee, debuts on CBS.